This pitcher, which was likely cut by J. Hoare, is a great example of the early portion of the Brilliant Period. 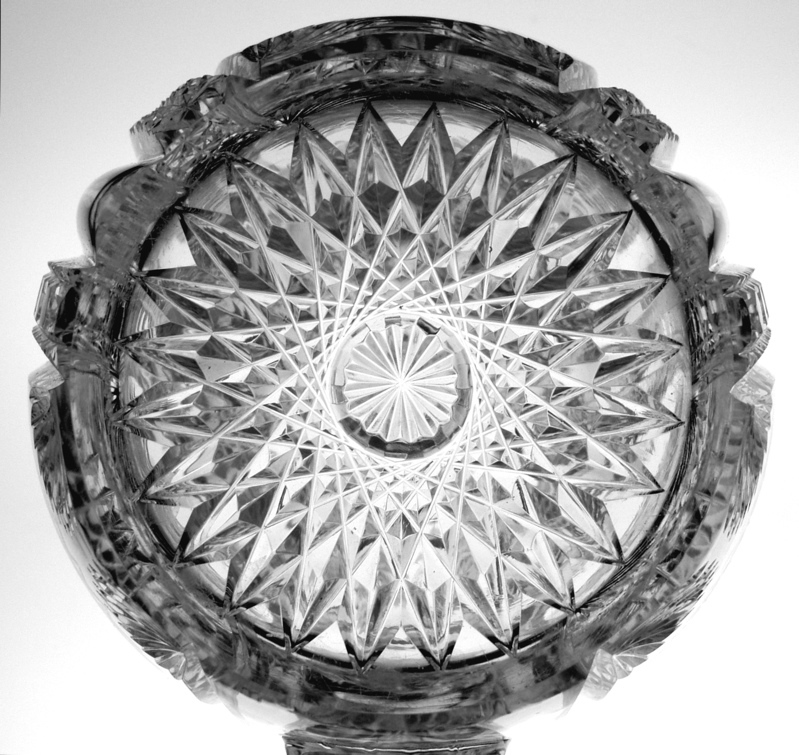 It feautres many design elements that J. Hoare was fond of using early on – these types of hobstars, clear tusks and Russian cutting along with these fanned center hobstars. 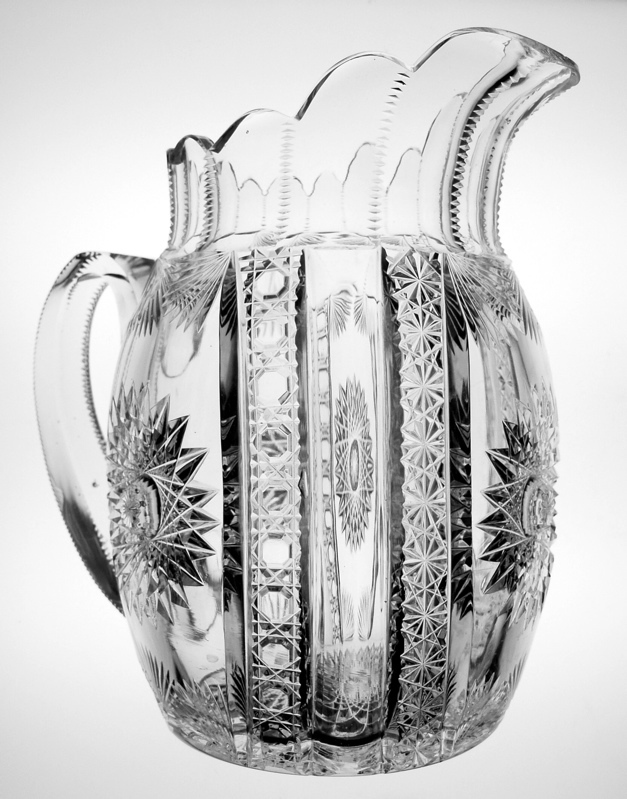 The pitcher is exceptionally heavy and clear. 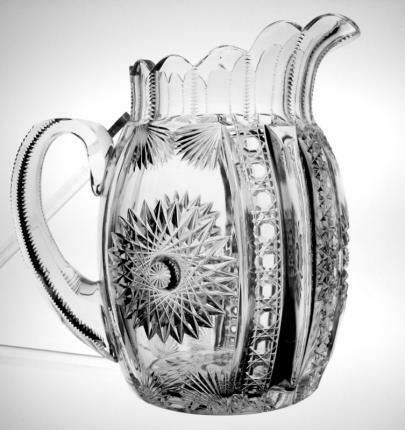 This barrel shaped pitcher has a large 24-point fanned center hobstar on both sides and the front. These hobstars are divided by a band of cane, followed by a band of clear, convex tusk and finally a band of russian. The dynamic combination of motifs is really singular to this pattern. 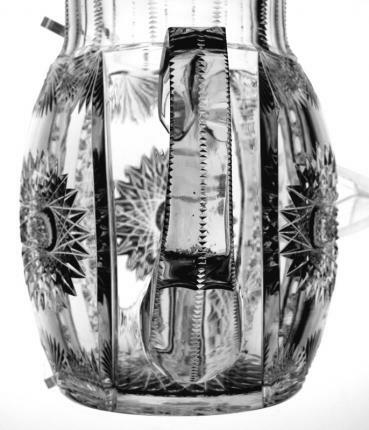 The handle is treated like Hoare often chose – fluted and notched and the spout is the same. 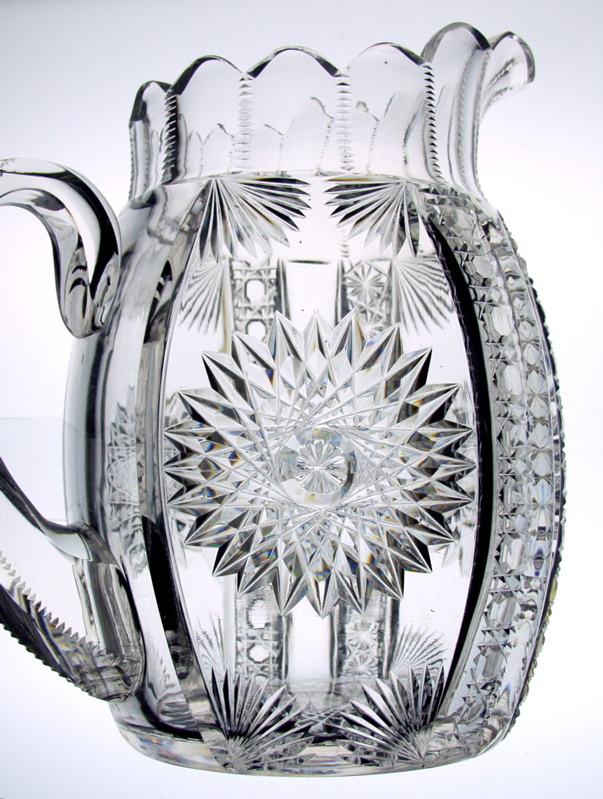 The base of the pitcher features a large 24-point fanned center hobstar keeping the pattern completely parallel throughout. This pitcher is extremely heavy and is wood-wheel polished to silky perfection. 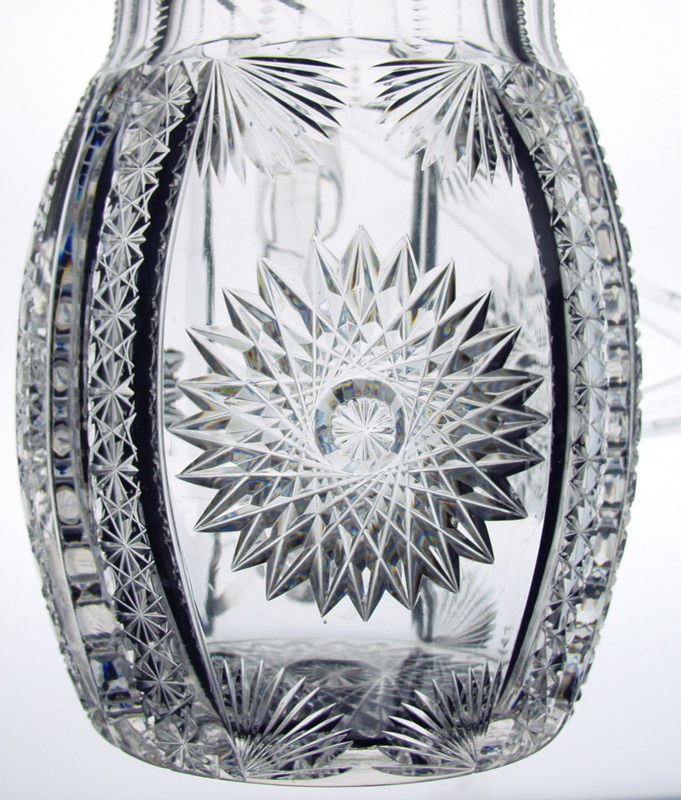 It measures 8 3/4″ tall and 6″ wide and is in perfect condition. The combination of early Hoare motifs on this pitcher really come through and leave a last impression for any onlooker of the piece.